A fun (and clean!) twist on a "Thanksgiving" sub! 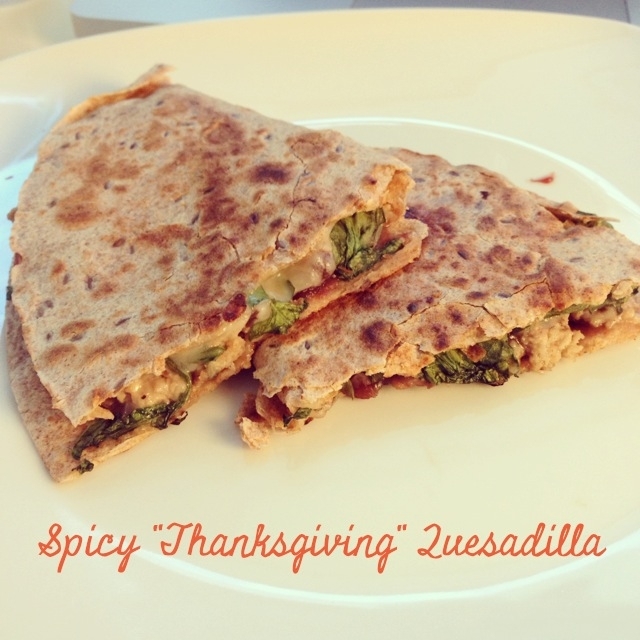 Brown and break up the turkey, put tortilla in pan and spread ingredients evenly on one half. Flip the empty half over to cover the ingredients, then cook until heated through and the cheese is melted, flipping occasionally.